The Nightmare: Malaria game developed by Pysop Games has been exceptionally well received and reviewed! It was downloaded more than 160,000 times across 181 countries in its first ten days (wow!) and is now nearing a quarter of a million downloads, been featured in the iTunes US App Store and on FastCoCreate, and been reviewed by AndroidPolice. Nightmare: Malaria is now available to download and play for free on your iOS and Android devices! Our thanks go to EGG (Establishment for the Greater Good) and PsyOp who have created a fantastic animation, voiced by Susan Sarandon, and also a superb free-to-play game. Visit the Nightmare: Malaria site to find out more. In February 2013, AMF agreed to fund the net and non-net costs for the distribution of some 300 - 400,000 LLINs in two districts in Malawi, Balaka and Dedza. We have now published detailed non-net cost budgets and will report on actual costs in due course. 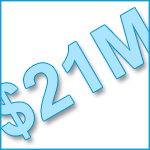 This information allows donors and others to see how we spend funds allocated to non-net costs. You can read about our approach to non-net costs on the website. The final number of nets to be distributed will be known when the household level pre-distribution assessment in Dedza is complete. 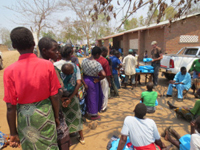 The distribution of 149,500 nets in Balaka is underway. When people, be they donors or not, contact us and ask to visit an AMF net distribution, be it to help out or view the process, we say yes. 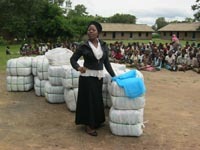 We are always supportive of people seeing for themselves what goes on with a distribution of nets. Sophie and Richard Morgan chose to raise funds for AMF from January 2013 as an activity to accompany their return by car from Sydney, Australia to the UK involving driving from the south to the north of Africa. 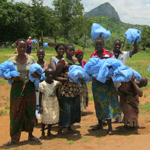 All funds they raised (http://www.AgainstMalaria.com/morgansafari) were allocated to a distribution in Malawi and they were keen to visit the distribution to help distribute the nets they helped fund. 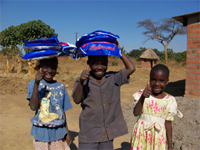 Our distribution partner - Concern Universal, Malawi - was happy to help out and welcome them to the distribution team. Sophie and Richard have written, with photographs, about their distribution experience. It gives a good first-hand insight into what goes on during a distribution. It is worth mentioning, no-one at AMF has met Richard and Sophie, although we hope to when they are back in the UK, and their blog post was unsolicited. 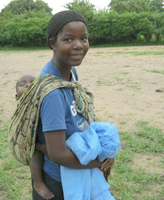 We will report in the coming months on the levels of net use and on malaria rates in Balaka District. 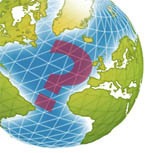 We were recently asked several questions and felt the questions and our comments might be of interest to a wider audience. Bed nets protect at night. What about during the day? The overwhelming majority of malaria-carrying mosquitoes bite at night, typically between 10pm and 2am. Hence the importance and effectiveness of the net. In your opinion, is donating to malaria vaccine development more or less worthy than donating to LLIN distribution, and why? I'd stick to a fact and a hope. The fact is that if enough bednets were deployed and continued to be used so universal coverage of communities is achieved – eminently achievable if the funds were there – then we can dramatically reduce the level of malaria and, broadly speaking, bring malaria 'under control'. That does not mean elimination as that is a specific scientific term, but 'under control' means a level of malaria that is an order of magnitude, if not several orders of magnitude, below what it is today. A hope is that a vaccine will be found. Finding one has proved, and is proving, very difficult indeed. Finding one requires research and that requires money so I am fully supportive of all and every attempt to find a vaccine. If one were found, it would have a dramatic impact on the fight against malaria. There are a number of groups and very wealthy philanthropists who have made significant donations to vaccine research work. So, eggs in two baskets, not one. If I have to personally decide where I place my $100 donation, now? Bednets to protect people, now. Our most recent vaccine update. 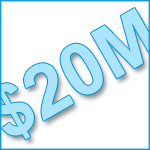 We have now passed the US$20 million mark, thanks to a donation from Arlington, Virginia, USA! We also had our 71,000th donation too - from Glasgow, Scotland! Our sincere thanks to everyone for their support and generosity. You can see all our milestones on the website, where we will be providing news shortly on the allocation of funds to specific distributions. Artemisinin-based combination therapies (ACTs) are the main drugs used to treat malaria. In the majority of the world they work. In some parts of Asia resistance to ACTs has been seen because some strains of malaria are resistant to artemisinin. This is not good. There are five different ACTs and if one does not treat a particular patient, the patient is still cured as part of a longer treatment regimen, provided they are treated with an ACT containing a partner drug that is effective in that geographical area. So far, resistance is confined to four South-East Asian countries: Cambodia, Myanmar, Thailand, and Vietnam, all in the Greater Mekong subregion. Geographic containment efforts may slow the spread of artemisinin resistance. A solution to artemisinin resistance is likely to require new malaria drugs not based on artemisinin. Scientists have developed a simple, rapid blood test to determine the malaria parasite's resistance to artemisinin. 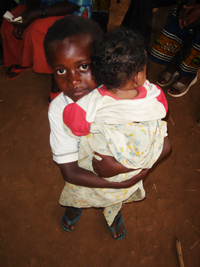 This can help identify patients who need a second ACT to help them recover from malaria. One implication of the reduction in efficacy of drugs to treat malaria is the need to work harder and faster to bring malaria under control so fewer people are at risk. And that’s where bednets come in. A recent report by the UK's National Audit Office (NAO) has said, as reported by the BBC, "'Too few' bed nets paid for by UK [government] are being used". The BBC article continues, "Not enough anti-malarial bed nets paid for by the UK [government] are being used around the world, ministers have been warned. ...the National Audit Office said usage among target groups, such as children, was disappointing... The watchdog urged the UK to work with aid recipients to "change attitudes" and to ensure proper value for money... The NAO's report, which drew on first-hand research in Sierra Leone, Tanzania, Nigeria and Burma, said the countries had been "well-chosen" but questioned the effectiveness of some of the spending. There had been a 23% increase in the number of families in the four countries owning a mosquito net since 2010 but usage by target groups such as children had increased by just 11.6%." 2. Regular post-distribution monitoring to understand continuing net usage. AMF has faced challenges with some potential distributions in trying to ensure these elements are part of a distribution plan and, where their inclusion has not been possible, has been unable to agree to fund nets. We see these elements as key. Peter Singer gave a TED talk recently in which AMF featured prominently. The talk was made public ten days ago and the impact on donations has been noticeable, particularly the number of recurring donations set up. Typically, 5% of donations made to AMF are recurring. In the last ten days, the proportion of recurring donations has been 43%. 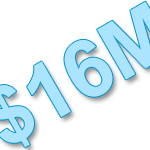 The donations made specifically as a result of Peter's TED talk so far total $65,700. Adding (potential) recurring donations during the next 11 months of $49,400 would amount to $115,100 in 10 days. This equates to 38,000 nets = 68,000 people protected. AMF now has 964 recurring donations contributing a total of $54,000 a month, equating to an annualised $580,000 on a trailing three-month basis. You can see the latest recurring donation figures on our Behind the scenes page. 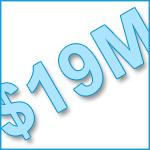 We have now passed the $18 million mark, thanks to a donor from Boston, USA! We also reached our 63,00th donor too! Our sincere thanks to everyone for their support and generosity. 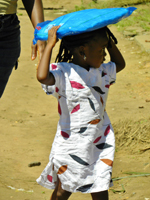 We have provisionally allocated a number of donations to two potential distributions, one in Senegal (440,000 LLINs) and one in Sierra Leone (3.1 million LLINs). We are far advanced with discussions with the respective National Malaria Control Programmes (NMCPs) and other in-country partners and, in such circumstances, it is appropriate to allocate donations so it is clear which funds would be used to purchase the nets. If all proceeds positively, we would expect to approve purchase of the nets in the coming weeks and add details and documentation to the distribution pages. In Senegal, we have had very productive discussions to date with the Programme National de Lutte contre le Paludisme (PNLP) who share our approach of conducting data-driven, verification-led distributions. All elements we consider important in carrying out a distribution have been agreed. We are now discussing implementation details. The net gap required for achieving universal coverage in four districts in Southern Senegal is some 660,000 nets. As additional funds are received it is possible we will fund further nets. In Sierra Leone, 3.4 million nets are needed for a country-wide campaign to replace nets distributed in 2010 so the population remains protected. AMF has offered to fund 3.1 million nets after detailed discussions with the NMCP and other partners. The NMCP has indicated a strong commitment to transparency and data in conducting the distribution. A final round of discussions with partners will take place in-county in the next two weeks. Peter Singer talks about effective altruism and donating to Against Malaria in his latest TED talk. A significant distribution in Senegal is a step closer with very good recent progress in discussions with the Senegal National Malaria Control Programme (NMCP) who share AMF's data-driven and verification-based methodology for net distributions. See our list of Future Distributions. More progress has been made in assessing a number of future distributions with several nearing full approval status. Continued use of nets is very important and every six months a post-distribution survey is carried out to assess net usage and net condition. 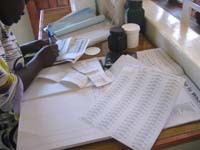 The data collected are used to determine if additional community-level malaria education activities are required. All data are published. The six months post-distribution survey for Ntcheu, Malawi, of 7,657 households and 15,768 nets showed a hang-up (usage) level of 90% and the percentage of nets in a very good condition of 99% (ninety nine). The twelve months survey is now under way and the results are being entered as the survey forms come in. You can see the data, which is being updated in real time, on the summary page. The data will then be checked before being added to the main Ntcheu distribution page. Recent results from an ongoing trial are therefore disappointing. 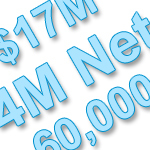 For the first time AMF is funding non-nets costs for a distribution i.e. costs beyond those of just the nets themselves. It is not expected this will become the norm or indeed be repeated. The funding for non-net costs will NOT come from public donations to AMF. Our promise that '100% of the funds you donate will buy nets' still stands. They will instead be covered by donor/s who have arranged with us to donate for this specific purpose. We explain here why we are doing this. 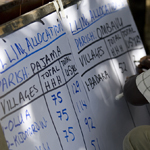 We have approved a distribution of 235,000 LLINs to the two districts of Balaka and Dedza in Malawi. Both districts are badly affected by malaria. These nets will be distributed form March to July 2013 and will achieve universal coverage - coverage of all sleeping spaces - across both districts. Each net protects close to two people. 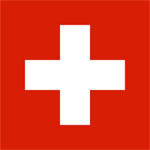 Our distribution partner for this distribution is Concern Universal. 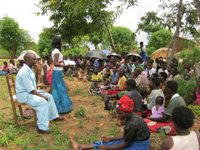 You can view the details of the Balaka and Dedza distributions on our website. We have now passed the $16 million mark, thanks to a donor from Ridgefield, Connecticut, USA! Our sincere thanks to everyone for their support and generosity over the past month. Only one week after passing the $14 million mark we have just passed the $15 million mark! What a great start to the year. We are also about to pass through 57,000 donors too. You can see all our milestones on the website.